2017 was a good year for Nintendo Switch, but it could've been even better if a certain insect-themed metroidvania game had made it onto the system as originally planned. The Hollow Knight Switch port slipped to 2018, and almost halfway through the year, Team Cherry says it's now "at the finish line." Speaking to Nintendo Life, the studio simply said "Soon... All we can say it that it's very soon... And we know that we have made people wait but we do think the quality of the product is worth it. The time that we've put into it has made the Switch version the perfect version of Hollow Knight and it really was worth the time we have taken. Nintendo has a philosophy and we've spoken to them a lot. The one thing is that there's never been any pressure regarding dates, there's been nothing but support." Along with incorporating the PC version's three major content updates (Gods & Glory, The Grimm Troupe, and Hidden Dreams) into the Switch port, Team Cherry has kept itself busy "refactoring technical stuff, breaking it down, and redoing it a bit more cleverly." Throughout production, the team has "had the chance to make some creative tweaks and refine a bunch of other little things. We haven't got to the point of rebranding it as a [new edition], but it's certainly a fuller experience." 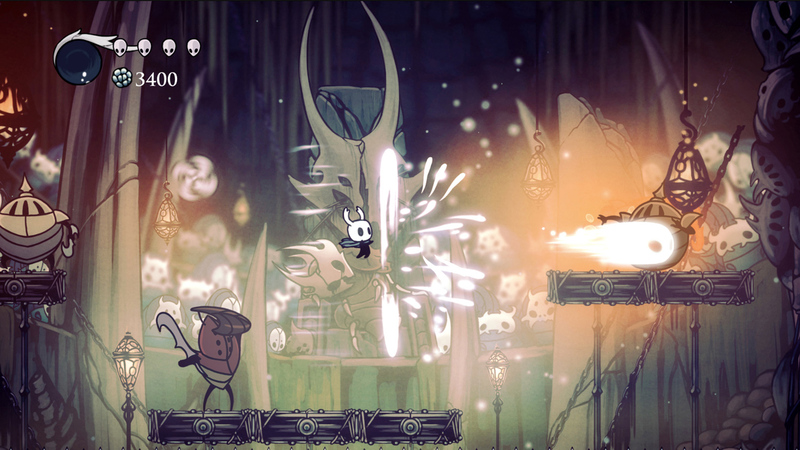 Team Cherry also noted that it has heard fans loud and clear when it comes to a potential physical release of Hollow Knight on Switch. "We are doing everything in our power to make that happen."